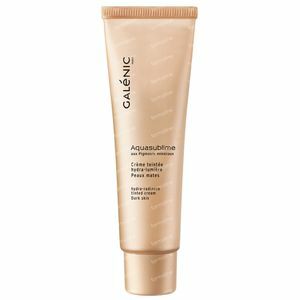 Galénic Aquasublime Tinted Cream Dark Skin 30 ml order online. Ultra-fresh and deliciously fruity-scented Hydra-radiance Tinted Cream combines a long-lasting moisturiser* with complexion-perfecting make-up to give your skin a healthy glow. * Provides hydration to the upper layers of the skin. Apply in the morning and/or at night to the face and neck. WATER (AQUA). CYCLOPENTASILOXANE. PROPANEDIOL. DIMETHICONE. BETAINE. TITANIUM DIOXIDE (CI 77891). SIMMONDSIA CHINENSIS (JOJOBA) SEED OIL (SIMMONDSIA CHINENSIS SEED OIL). PEG/PPG-18/18 DIMETHICONE. ALUMINUM STARCH OCTENYLSUCCINATE. SODIUM CHLORIDE. BUTYROSPERMUM PARKII (SHEA BUTTER) (BUTYROSPERMUM PARKII BUTTER). CAPRYLYL GLYCOL. CHLORPHENESIN. CITRIC ACID. DISODIUM EDTA. FRAGRANCE (PARFUM). HYDROGENATED LECITHIN. IRON OXIDES (CI 77492). (CI 77491). (CI 77499). MICA. PEG-10 DIMETHICONE. POTASSIUM SORBATE. RIBES RUBRUM (CURRANT) FRUIT EXTRACT (RIBES RUBRUM FRUIT EXTRACT). RUBUS IDAEUS (RASPBERRY) FRUIT EXTRACT (RUBUS IDAEUS FRUIT EXTRACT). SODIUM BENZOATE. SODIUM STEAROYL GLUTAMATE. TOCOPHERYL ACETATE. VACCINIUM MYRTILLUS FRUIT EXTRACT. 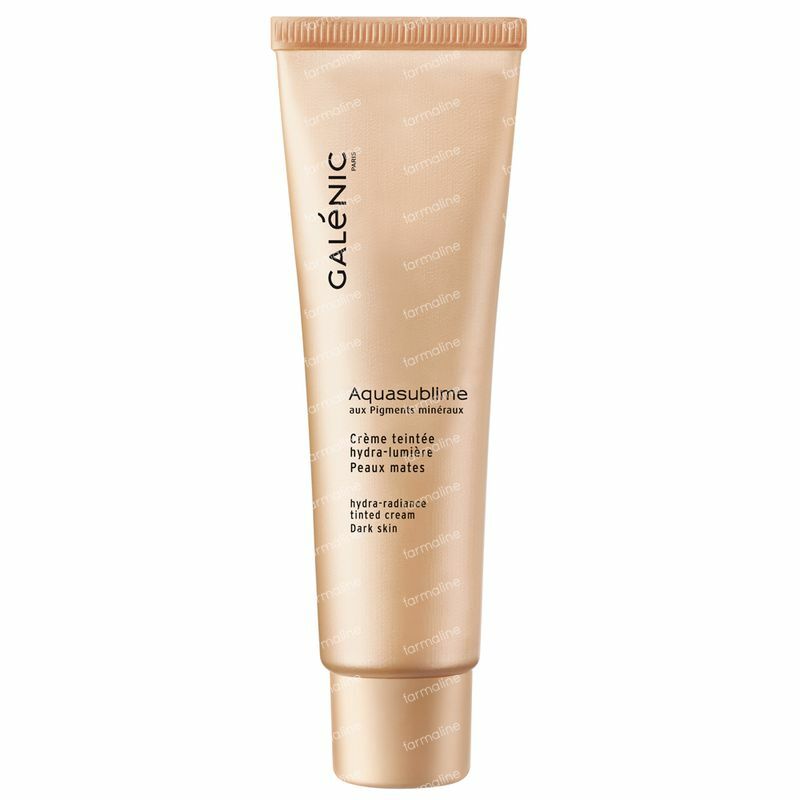 Great product!my skin look fresh all day after use,is soft and has got natural look.Nice smell,cover all spots,is enough for long time,perfect consist.